Ryanair has extended its winter 2016 schedule with routes from Lisbon and Porto to a new destination in Azores – Terceira Island! The low cost airline based out of Ireland has strengthened its network offering even more new routes to Terceira island in the Azores. Ryanair is to begin flying to the newly announced destination beginning this December 2016. The tickets are already on sale and to celebrate the launch of new routes, the RyanAir is releasing tickets to Terceira Island from just €19.99 each way! Terceira, also known as the lilac or violet island “Ilha Lilás”, is a spectacular island in the Azores archipelago, in the middle of the North Atlantic Ocean. It is the second most inhabited island of the Azores, with approximately 56,000 inhabitants (2012 data), the island of Terceira has 401.9 sq. Km, being 30.1 km long and 17.6 km at its maximum width. It is the most easterly island of the five that form the central group and is the nearest one to São Jorge island, 37.9 km away. The highest point of the island, at 1,021 m altitude, is located in the Serra de Santa Bárbara, at 38°43’47’’ latitude north and 27°19’11’’ longitude west. It is the location of the historical capital of the archipelago, the Azores’ oldest city and UNESCO Heritage Site (Angra do Heroísmo), the seat of the judicial system (Supreme Court), main base of the Azores Air Zone Command (Commando da Zona Aérea dos Açores) Base Aérea nº 4. 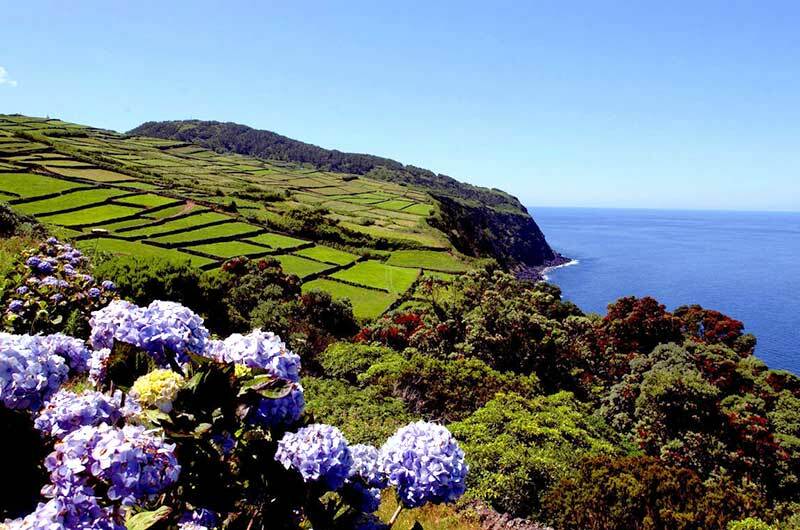 If you are looking for a winter break and enjoy tranquility and nature then you should definitely consider a trip to the Azores. All the 9 islands are exceptionally beautiful, all are totally unique in their culture and wildlife.